Sails Fully battened main - 2 reefs. Genoa (as new), jib, MPS, spinnaker, new trisail, storm jib. Re-rigged as masthead with strengthening stainless ring frame. Boom - Carbon fibre cedar sheathed. Bruce Clark, An excellent example, built by Salthouse, Greenhithe, launched approximately 1961. Kauri carvel hull, teak and mahogany. 35hp Yanmar cruises 6 knots. 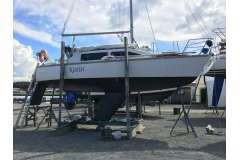 6'2" Headroom with 5 single berths. 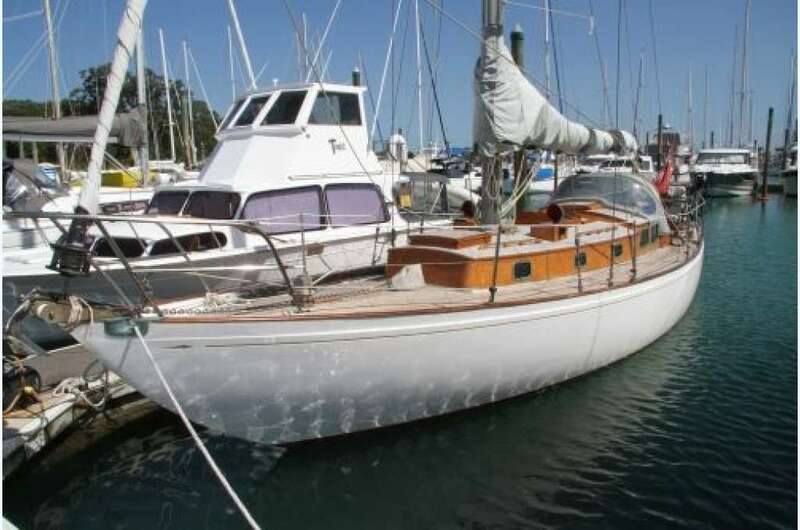 Large cockpit, galley to port, quarter berth starboard, lovely saloon with red leather upholstery, forward to port head and vee-berth. Full Autohelm electronics package, wind speed, direction, AIS (display only). Maintained fastidiously and presents beautifully. Strong with great rig, sail wardrobe (some as new). All safety gear and wouldn't take much to go to Cat 1.